Yes, we're Karatedo people. Yes, we do follow some rules - rules inside the dojo (dojo kun) and outside as well. Yes, the rules are pretty simple, everybody can follow our rules. But yes, people not willing to follow rules, not willing to be good for our society, please keep off the dojo and let the instructors do their important work with those willing to progress. As I said, pretty simple. Rule Nr. 1: Reflect ! Think quietly & calmly. Express thoughts or opinions resulting from reflection because (as we're here in Universe where all is one) they reflect on each and everyone of us. Ask questions after thinking. Rule Nr. 2: Behave ! There are people next to you, ahead of you and after you who have better things to do than clean-up your mess. Rule Nr. 3: Be ! Be better today than you were yesterday. Life is pretty short. So, take advantage while you live and don't destroy other people's attempt to progress. The rules will keep you busy all your life, because first you think you understood, then you start to understand the rules superficially, then slightly deeper, and as you will change yourself over time, so will your understanding of what seem to be simple rules. ETIQUETTE REIGI Be humble & polite. Show courtesy, respect & honesty towards others. PERSEVERANCE NINTAI Never give up. EFFORT DORYOKU Train body & mind. COURAGE YUKI Be very courageous. CREATIVITY SOZO Practice earnestly with creativity. First, learn and follow the correct order of the Katas. It is very important to practise and perform our Katas as they are designed. In Kofukan, Katas are taught with their technical principles and applications. The main aims of Kata practice are to learn and instill within one's body the principles and the applications each contains and to develop one's inner feelings and mental awareness. Our Kofukan Katas and their principles make the major part of the identity of our Karate of which we are very proud. Please refer to Master Tomiyama's book ISBN 1-873764-00-6 "Fundamentals of Karate-Do - Essential elements for development through karate training at all levels" for more detailed explanations of these important yet essential Five Rules of Defense. To apply these Karate rules correctly, it is essential to understand them properly and to have them explained properly first. The second best explanation from the internet won't help this time, very sorry. RAKKA falling petals Blocking with such force and precision as to completely destroy the opponent's attacking motion. RYUSUI running water Flowing around the attacker's motion, and through it, soft blocking. KUSSHIN elasticity Bouncing back, storing energy while recoiling from the opponent's attack, changing and lowering stance only to immediately unwind and counterattack. TEN'I transposition Utilization of all eight directions of movement, most importantly stepping away from the line of attack. HANGEKI counterattack Attack which at the same time deflects the opponent's attack before it can reach the defender. Please refer to Master Tomiyama's book ISBN 1-873764-00-6 "Fundamentals of Karate-Do - Essential elements for development through karate training at all levels" for more detailed explanations of these important and essential elements. To apply these moral & spiritual Karate rules correctly, it is essential to understand them properly and to have them explained properly first. The second best explanation from the internet won't help this time, very sorry. If you manage to reflect, behave, improve and grow, you're on a good way ahead. You might find more Budo Rules all over the planet, for example the Budo Kensho that can be seen in the Tokyo Budokan. Budo, the Japanese martial ways, have their origins in the age-old martial spirit of Japan. Through centuries of historical and social change, these forms of traditional culture evolved from combat techniques (jutsu) into ways of self-development (do as in Karatedo). Seeking the perfect unity of mind and technique, budo has been refined and cultivated into ways of physical training and spiritual development. The study of budo encourages courteous behaviour, advances technical proficiency, strengthens the body, and perfects the mind. 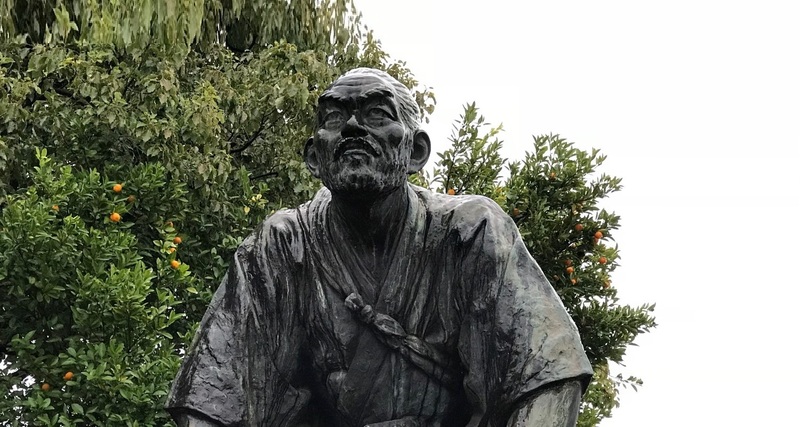 Modern Japanese have inherited traditional values through budo which continue to play a significant role in the formation of the Japanese personality, serving as sources of boundless energy and rejuvenation. As such, budo has attracted strong interest internationally, and is studied around the world. However, a recent trend towards infatuation just with technical ability compounded by an excessive concern with winning is a severe threat to the essence of budo. To prevent any possible misrepresentation, practitioners of budo must continually engage in self-examination and endeavour to perfect and preserve this traditional culture. It is with this hope that we, the member organisations of the Japanese Budo Association, established The Budo Charter in order to uphold the fundamental principles of budo. Through physical and mental training in the Japanese martial ways, budo exponents seek to build their character, enhance their sense of judgement, and become disciplined individuals capable of making contributions to society at large. When training in budo, practitioners must always act with respect and courtesy, adhere to the prescribed fundamentals of the art, and resist the temptation to pursue mere technical skill rather than strive towards the perfect unity of mind, body and technique. Whether competing in a match or doing set forms (kata), exponents must externalise the spirit underlying budo. They must do their best at all times, winning with modesty, accepting defeat gracefully and constantly exhibiting self-control. The dojo is a special place for training the mind and body. In the dojo, budo practitioners must maintain discipline, and show proper courtesies and respect. The dojo should be a quiet, clean, safe and solemn environment. Teachers of budo should always encourage others to also strive to better themselves and diligently train their minds and bodies, while continuing to further their understanding of the technical principles of budo. Teachers should not allow focus to be put on winning or losing in competition, or on technical ability alone. Above all, teachers have a responsibility to set an example as role models. Persons promoting budo must maintain an open-minded and international perspective as they uphold traditional values. They should make efforts to contribute to research and teaching, and do their utmost to advance budo in every way. Budo, the martial ways of Japan, are forms of traditional culture that hold in esteem a traditional martial spirit passed down since ancient times. Through the practice of budo, the student learns correct manners, refines his or her technical skills, and develops the mind and body to become a virtuous human being. The student of budo does not only focus on the lesser goals of technical skills or winning competitions, but strives to understand the true ideals of budo and cherish its traditions. The following articles outlined in the "Budo Charter for Young People" must be upheld by young practitioners in order for them to benefit from their study and to appreciate the ideals of budo. Endowed with a strong sense of justice, courage, consideration for others, and healthy bodies and minds achieved through training in the techniques of budo, we will aspire to become people useful to society. When training in budo, we will abide by the traditional forms of etiquette and the lessons of our teachers. We will practise the fundamental techniques as accurately as possible, trying to learn not only the techniques, but will strive to strengthen our bodies and minds to the best of our abilities. The dojo is a place where we learn our skills and cultivate strength in body and mind. We must follow the rules, behave in a polite manner, and keep the dojo clean and safe. We must treasure the friendship we make in the dojo, and co-operate and support each other. Let us enjoy our training together and strive to make friends with all those around us. Budo, the martial ways of Japan, have their origins in the traditions of bushido - the way of the warrior. Budo is a time-honoured form of physical culture comprising of Judo, Kendo, Kyudo, Sumo, Karatedo, Aikido, Shorinji Kempo, Naginata and Jukendo. Practitioners study the skills while striving to unify mind, technique and body; develop his or her character; enhance their sense of morality; and to cultivate a respectful and couteous demeanour. Practised steadfastly, these admirable traits become intrinsic to the character of the practitioner. The budo arts serve as a path to self-protection. This elevation of the human spirit will contribute to social prosperity and harmony, and ultimately, benefit the people of the world.